Image © 2016 by Reiko Murakami. io9 is proud to present fiction from LIGHTSPEED MAGAZINE. 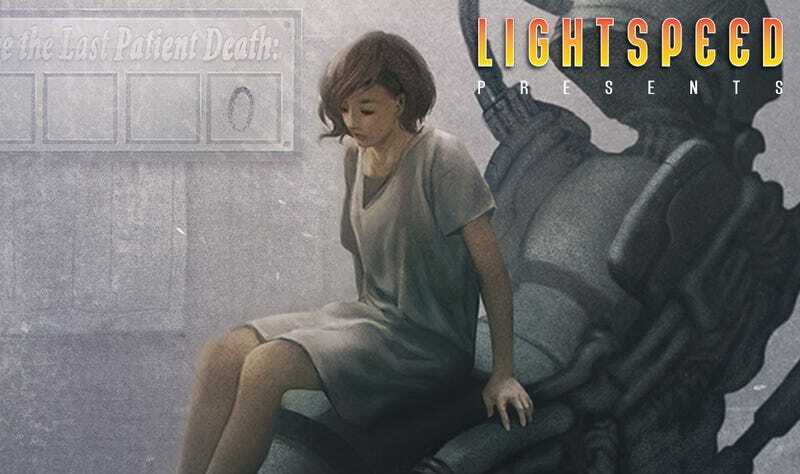 Once a month, we’ll be featuring a story from LIGHTSPEED’s current issue. This month’s selection is “Welcome to the Medical Clinic at the Interplanetary Relay Station | Hours Since the Last Patient Death: 0” by Caroline M. Yoachim. You can read the story below or you can listen to the podcast. Enjoy! Please visit LIGHTSPEED MAGAZINE to read more great science fiction and fantasy. This story first appeared in the February 2016 issue, which features 8 science fiction and fantasy short stories, plus a novella, nonfiction, and novel excerpts. You can wait for most of this month’s contents to be serialized online, or you can buy the whole issue right now in convenient ebook format for just $3.99, or subscribe to the ebook edition at a via the link below.